Usted ha comparado su Honda con otros modelos y ha reducido sus opciones. Ahora, el siguiente paso es decidir si desea arrendar o comprar. El equipo de finanzas de Airport Marina Honda está lista todos los días de la semana a ayudar a los clientes de Inglewood a conseguir los mejores términos posibles. ¡Si usted quiere los pagos mensuales bajos que vienen con el arrendamiento, podemos ayudarle! Póngase en contacto con nosotros para obtener más información sobre nuestros nuevos vehículos y nuestras ofertas de arrendamiento, o programe una visita en nuestro concesionario. ¡Antes de visitarnos, obtenga aprobación previa para la financiación en línea! 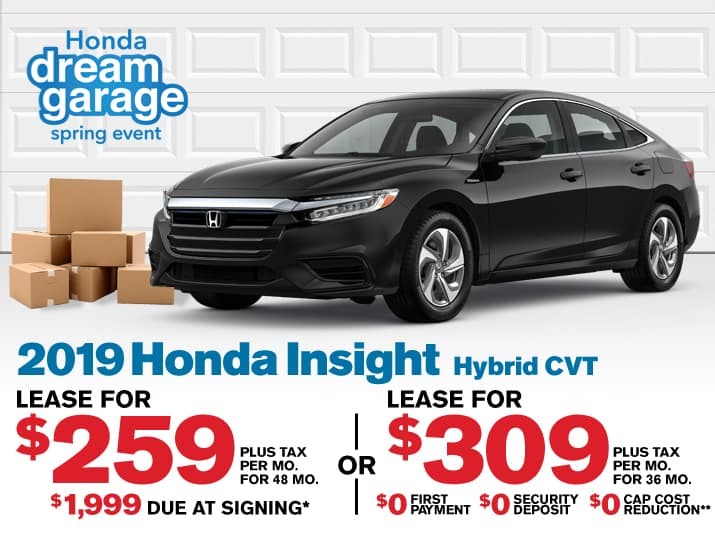 Choose from our entire stock of remaining 2018 brand new Civics. 0% financing for up to 36 months on approved above average credit of 730+ Auto FICO 8. Maximum amount financed: $15,000. Cannot be combined with any other offers or quotes. See dealer for details. 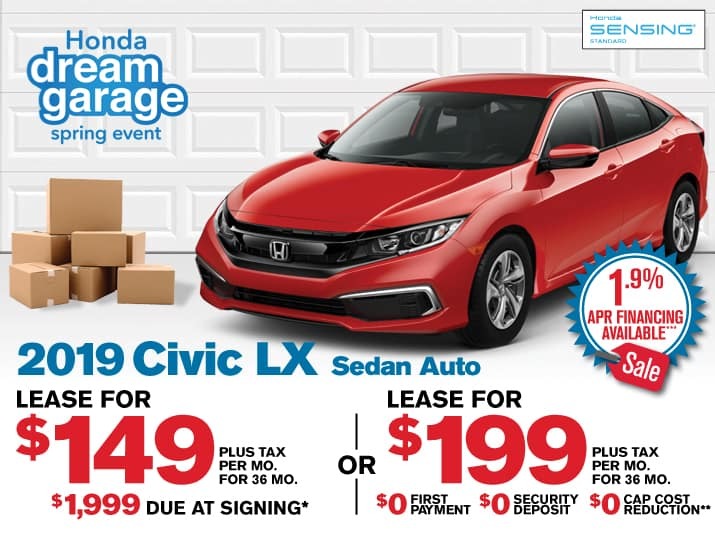 Offer expires end of 4/30/19. 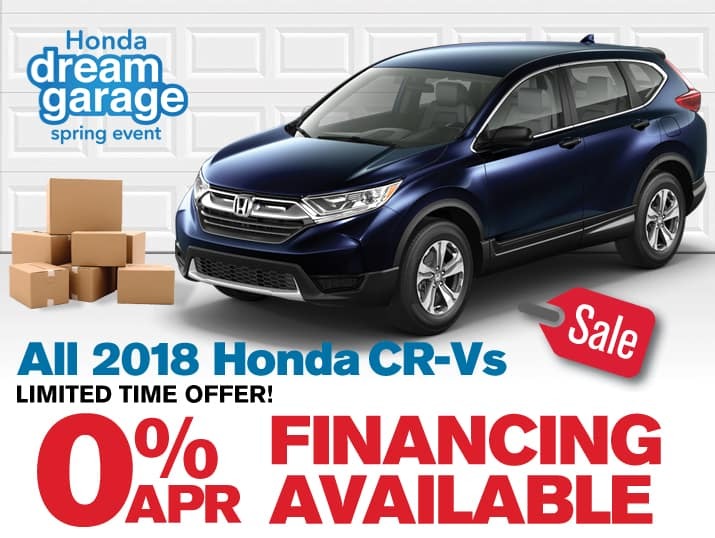 Choose from our entire stock of remaining 2018 brand new CR-Vs. 0% financing for up to 36 months on approved above average credit of 730+ Auto FICO 8. Maximum amount financed: $15,000. Cannot be combined with any other offers or quotes. See dealer for details. 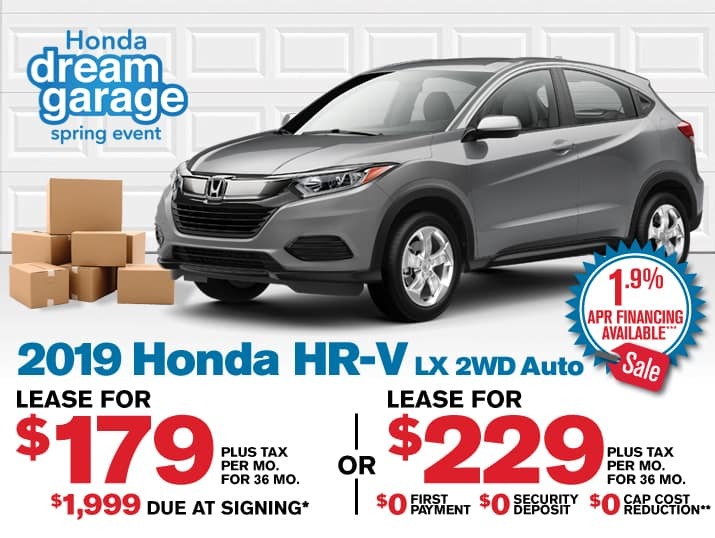 Offer expires end of 4/30/19. 1 at these offers (KM705409). 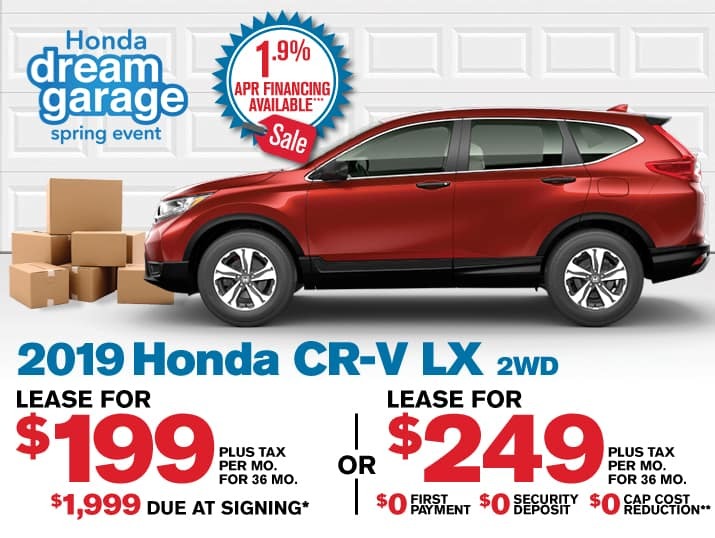 *On approved above average credit with $1,999 due at signing plus first months payment, government tax and fees. $0 security deposit. 12,000 miles per year totaling 36,000 miles for lease term, 15 cents per mile thereafter. **On approved above average credit with $0 first month payment. Plus government tax and fees. $0 security deposit. 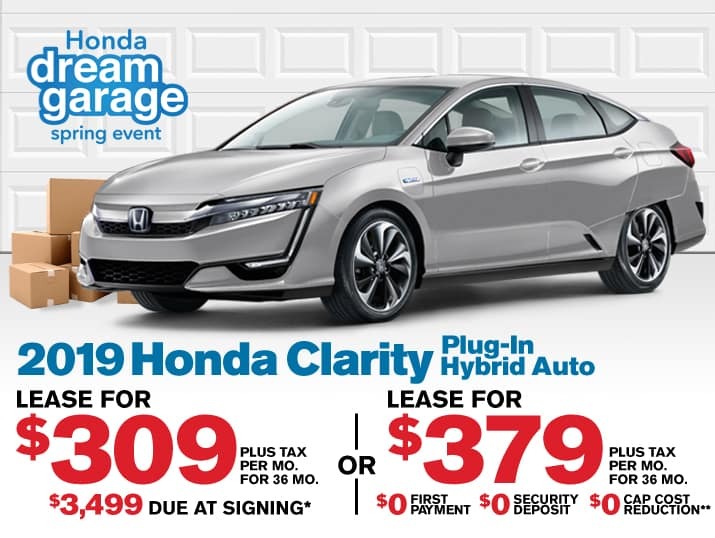 12,000 miles per year totaling 36,000 miles for lease term, 15 cents per mile thereafter. 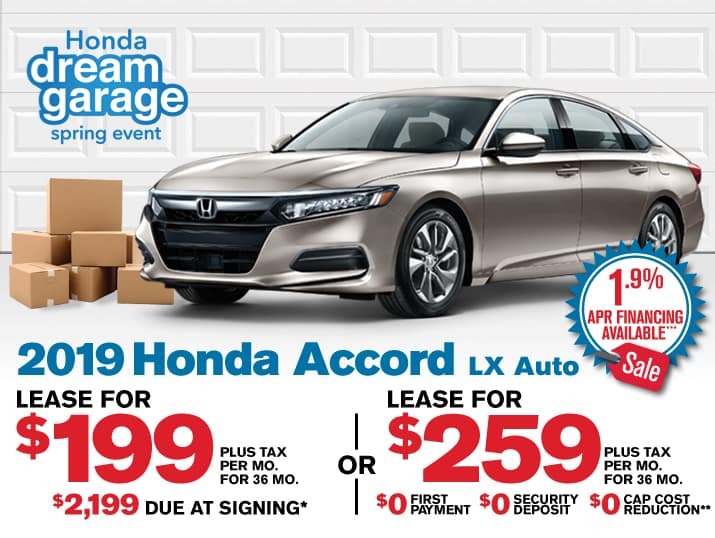 2.9% financing to well qualified buyers on approved credit by Honda Financial Services. Not all buyers may qualify. Higher rates apply for buyers with lower credit ratings. 2.9% for 36 months financing at $29.04 a month for every $1,000.00 financed. See dealer for details. 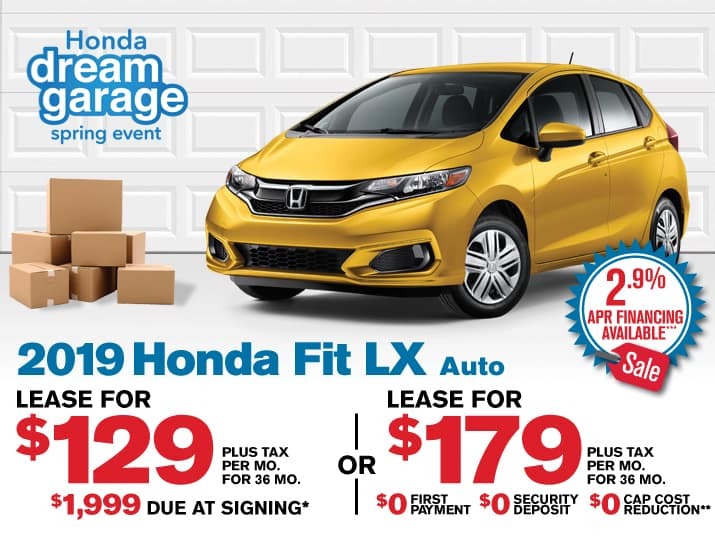 Offers expire end of 4/30/19. 1 at these offers (KE204480). 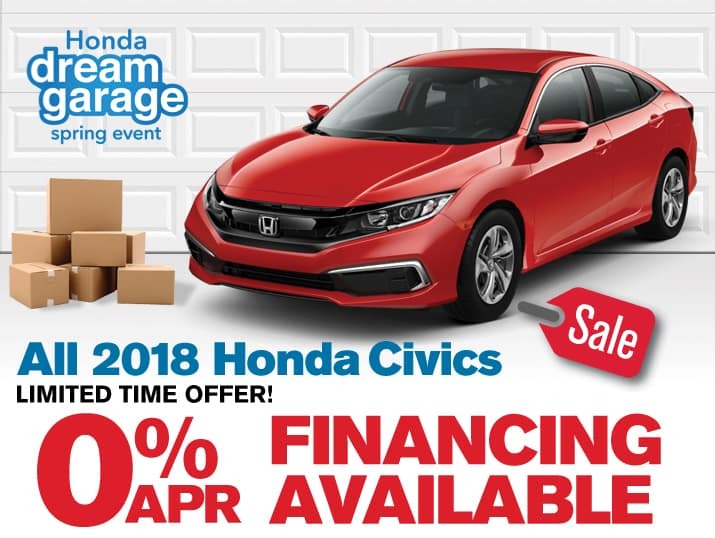 1.9% financing to well qualified buyers on approved credit by Honda Financial Services. Not all buyers may qualify. Higher rates apply for buyers with lower credit ratings. 1.9% for 36 months financing at $28.60 a month for every $1,000.00 financed. See dealer for details. 1 at these offers (KG702991). 1 at these offers (KA019788). *On approved above average credit with $2,199 due at signing plus first months payment, government tax and fees. $0 security deposit. 12,000 miles per year totaling 36,000 miles for lease term, 15 cents per mile thereafter. 1 at these offers (KL001448). 1 at this offer (KE017137). *On approved above average 720+ Fico V8 with $1,999 due at signing plus first months payment, government tax and fees. $0 security deposit. 10,000 miles per year totaling 48,000 miles for lease term, 25 cents per mile thereafter. 1 at this offer (KC000113). *On approved above average credit with $3,499 due at signing plus first months payment, government tax and fees. $0 security deposit. 12,000 miles per year totaling 36,000 miles for lease term, 20 cents per mile thereafter. Use our form below to get a fast and free instant quote. I consent to receiving text messages and phone calls from Airport Marina Honda. I understand that consent is not required for purchasing a product or service.